We use premium raw materials and additives. Lower cost and environmental friendly as well. Rust free and safe working. Why PET Strap is a Strong Alternative of Steel Strapping? 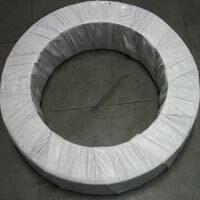 Economy : 50% Cost saving compare to Steel Strapping because the weight of 6 meters of PET Strap Rolls is Equal to 1 meter of steel strap of same size and easy handling. 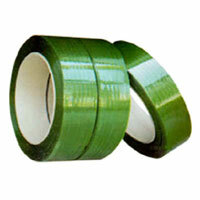 Safety : PET Strap Rolls does not have sharp edges like Steel, It will not cut or damage product. 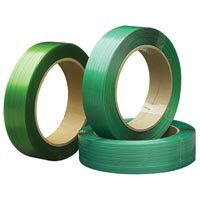 PET Strap Rolls create a safe work environment for user because it does not spring back when removed, So there is no risk of injuries while tensioning or cutting the strap. 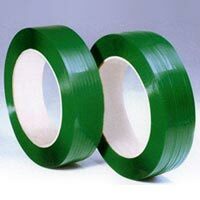 Impact Resistance : The impact resistance of PET Strap Rolls is five times greater than steel strap. 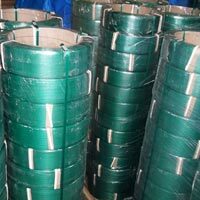 PET Strap Rolls has higher shock absorbing capacity than steel strap, so it is suitable for compressed rigid packs require? Strapping tension throughout handling & storage. Elongation Recovery : PET Strap Rolls has slight elasticity and it tries to return to their original position under tension. PET Strap Rolls has good elongation recovery. While steel strap has no elongation recovery. PET Strap Rolls maintains strap tension by contracting with the pack in the event of pack settlement. Why PET Strap is a Better Choice over Other Plastics? 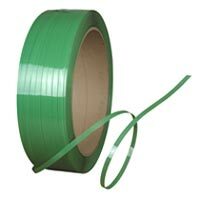 High Tensile Strength : PET Strap Rolls is having more tensile strength than polypropylene strap. It maintains tensile strength for a long stretch of time with excellent shock resistance. 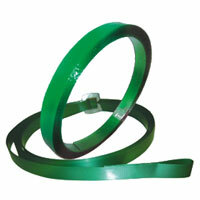 PET Strap Rolls also provides greater load stability & superior retained tension. Low Elongation : PET Strap Rolls has less elongation than PP strap which means that the strap tension will not relax during pack expansion, contraction & pack settlement. Packs can therefore be moved safely even after extended period of storage or transport. 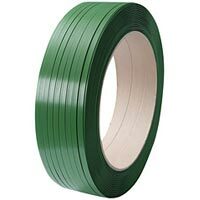 Better Weather Resistance : PET Strap Rolls is virtually unaffected by Weather and harsh environment. 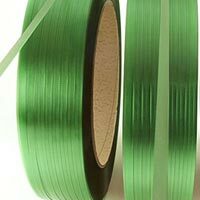 Compared to nylon strap, PET Strap Rolls has better resistant to ultra-violet rays and holds tension even in very humid conditions. 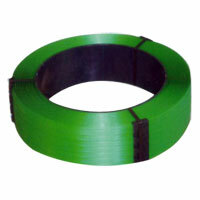 PET Strap Rolls has good heat resistant, It can withstand up to -30* Celsius to +80* Celsius temperature. Width Thickness Weight per meter Runnage meter per Kg. Minimum Breaking strength Elongation at break Length per25.00Kg. 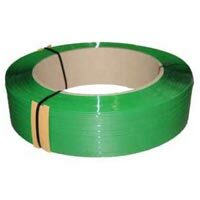 Above PET strap sizes are regular size for production, it is also available as per the customer's specification.